The standard view of the American economy is one of exponential growth: even if interrupted by a recession once a decade and a Depression once every two generations (the 1890’s, the 1930’s, the 2010’s? ), the engines of industry would always come back roaring again. Output per American could always be expected to increase as it has from 1790 until the present day. There has never been a decade, even during America’s two Depressions, when US GDP was lower at the end than at the beginning. However, another point of view on the US economy can be developed by drawing on observations of factors such as median income, energy consumption and inequality. Broadly speaking, this picture is one relative stagnation from 1890-1940, and again from 1973-today, punctuated by the truly remarkable “miracle economy” of the post-war boom. Furthermore, the US is now about to transition to a new phase: economic stagnation and anarchic stasis, to be followed by oligarchic Caesarism. 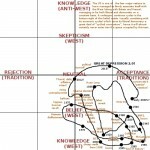 This first post will be, for now, just a series of observations that I believe to be inextricably linked, but lack the theoretical foundations to put on a sound footing. Feel free to skip it, as it might be hard to follow and I’m mostly writing it to get greater understanding for myself. More polished version(s) to follow. 1. Median incomes (the ones that matter to ordinary Americans) tell a radically different story from the GDP figures. As shown below, they remained at a virtual plateau from 1914 to 1940. During the WW2 mobilization, spare capacity filled up, as factories began to produce the tanks, ships, planes, jeeps and misc. that played a crucial role in the Allied victory. After the war, what might have been a new plateau from the 1940-50 base accelerated, literally driven by the automative revolution; it is during this time that the US became a suburban, oil-based civilization. However, the oil shocks of the 1970’s threw a jackhammer into that arrangement. 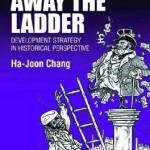 Since then, the only discernible rise took place in the 1990’s: a period that saw the opening up of the Chinese “reserve army of labor” and the Soviet resource base to global markets. These began creating powerful deflationary effects in the US. But things went into reverse altogether during the past “lost decade“. 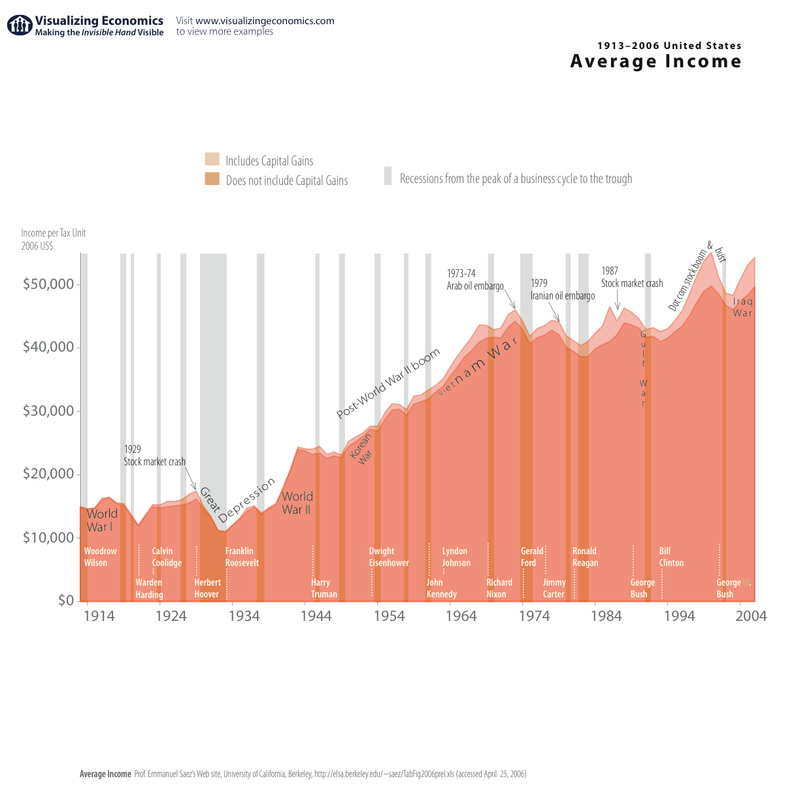 The median household income in 2008 was $50,303. The median household income in 1999, expressed in 2008 dollars, was $52,748. Still, the 2000s have been especially barren. Median income rose only in three years—2005, 2006 and 2007, and even at the cyclical peak in 2007 it was below the levels of 1999 and 2000. 2. More on the energy developments during the period. 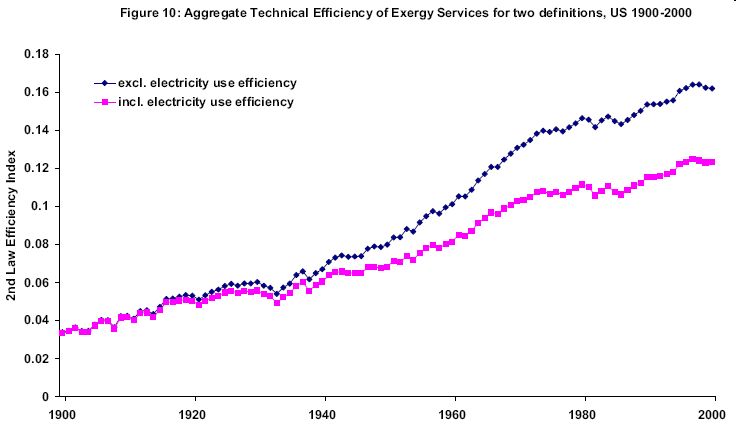 During 1950-70, the US enjoyed very rapid growth both in absolute energy consumption and the energy efficiency of its techno-industrial base. Therefore, the quantity of “useful work” available for exploitation by American labor and capital increased very rapidly. But this growth moderated since the 1970’s. Given the continuing reduction in the EROEI of oil, the peaking of the net energy flowing into the US economy from coal in 1998, and the turn to costly shale gas to maintain natural gas production volumes observed within the last decade, this trend must have only strengthened in the 2000’s. 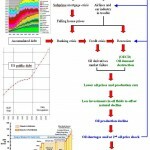 Graphs are taken from Economic Growth and Cheap Oil (Robert Ayres). 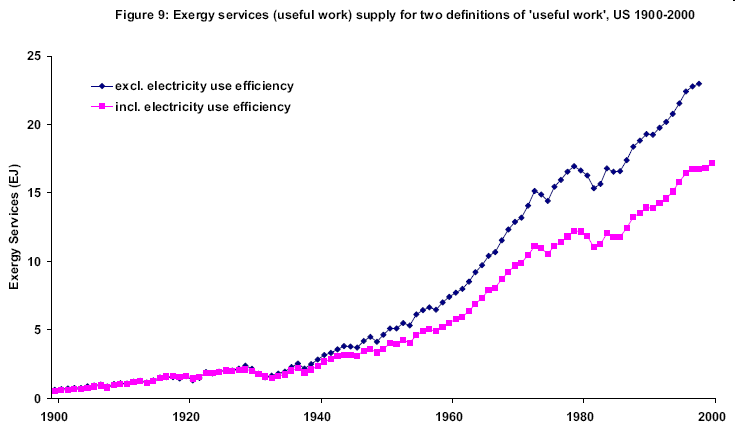 The growth in the”technical efficiency” with which exergy is converted to “useful work” by the American economy has been flattening since the 1980’s (probably due to diminishing returns to investments into more efficiency: see Tainter, etc). 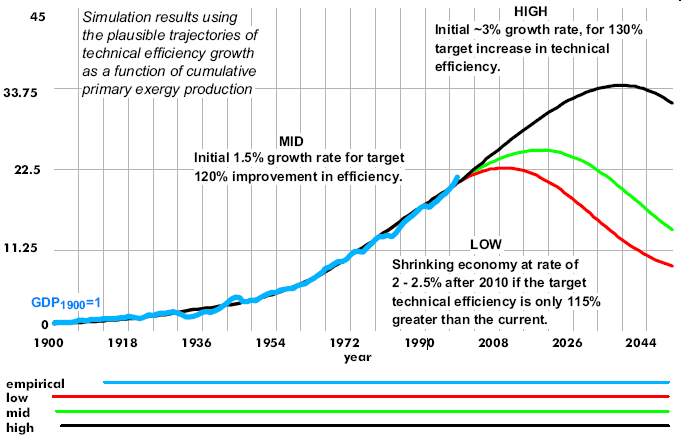 Though Obama’s drive to increase energy efficiency is laudable, it will be hard to achieve big results given that most of the low-hanging fruit have already been picked. If further improvements in technical efficiency are low, then the US will be going into a permanent hyper depression in the years ahead according to Ayres’ calculations. As of today, the observed results match the Low forecast. There’s little reason for hope. The potential for squeezing more “useful work” – the single biggest factor in GDP growth – out of the current US energy base are very limited. Coal, oil and natural gas are roads to nowhere. While nuclear and renewables are far more sustainable in the long-term (for maintaining an industrial base), they need 1) several decades to be build up and 2) given the same investments in K and L generate less useful work than today’s hydrocarbons because of their low EROEI’s. 3. Another interesting thing is that the period of stagnant US median incomes is linked with rising inequality. (This explains the continued moderate growth in consumption and GDP – its just that since 1973 a very large portion of it has been accruing to the guys at the top of the pecking order). Now in stagnant systems – e.g. 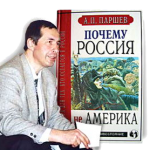 overpopulated agrarian societies – this is explained (Turchin) by the fact that land, food and credit prices have a tendency to go up, benefiting the elites (landowners, financiers, etc) relative to the rest of the population. While similar processes apply to industrial societies (see Marx), its effects can be combated by the powerful redistribution mechanisms available to the modern state (that were lacking in the agrarian states of yore). Hence, despite the fact that since the 1980’s Western Europe has been on much the same vastly lower growth trajectory, inequality in states such as France and Germany has remained low. On the other hand, the US – having progressively deregulated the financial sector and knocked down marginal tax rates – has experienced a massive increase in inequality that may now be approaching the levels of the Gilded Age. 4. Fertility rates are linked to economic conditions. One of the many explanations for the post-war baby boom in the US is that soldiers were returning home, social conservatism, etc. But none of them are very convincing as comprehensive explanations. 1900-1940: stagnant median incomes; TFR approaches replacement level rates as the US ceases being an agrarian society. 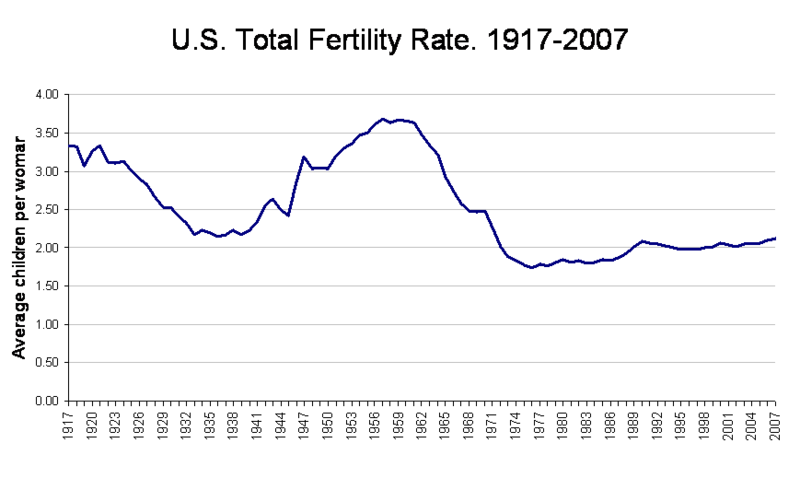 1940-1970: the baby boom as US middle class living standards expand rapidly. Populations tend to expand rapidly when their resource base expands. Interesting why TFR expansion started dropping in early 1960’s, though: perhaps looking at cohort TFR’s (which adjust for average age of childbearing) would yield a better fit with the economic stats? 1970-2010: roughly replacement level TFR’s, stable median incomes. 2010+: if median incomes begin to fall in the future, due to energy constraints and/or fiscal collapse, we might well see the TFR drop to something like 1.5. A comparison: Russia completed its post-agrarian fertility transition by the mid-1960’s; after that, the TFR remained stable at around 1.9-2.1 until 1990 (as we know this was a time of zastoi / stagnation, esp. in the later part of this period). But in the 1990’s Russia’s TFR fell off a cliff, along with real living standards (not only did average incomes fall, soaring inequality made most people’s income fall even faster). The nadir was reached in 1999 (TFR=1.16) and has since risen up to 2009 (TFR=1.56). 5. Preliminary speculations. The reason I’m very skeptical on the Keynesian / Krugman vs. Austrian / Tea Party “debate” is that both positions, though ostensibly opposite, are based on the same presumption: that further economic growth is still possible, if only their policy prescriptions were to be followed. (In a recent Oil Drum posting Gregor MacDonald laid out my thoughts very well in Hollow Men of Economics. It’s a complete strawman! By the time the bond vigilantes take off their invisibility cloak, the costs of servicing debt – much of it now in short-term bonds which have to be frequently rolled over – will begin to spike, leading to an irreversible death spiral. Makes the questionable assumption that the US will grow at 2-3% in the future, whereas 1) the necessity of deleveraging, 2) the exergy situation and 3) the fragile geopolitical situation makes this highly unlikely. Of course, the Austrians / WSJ are no less insane. If only the rich could get more tax breaks, if only banksters and oil corporations could be coddled even more than they are already, everything would be fine and dandy and we’ll be growing our way into a Randian paradise of abundance. If Krugman “wins” the debate: the economy sputters along for a few years, never getting onto a sustainable growth trajectory. Awning budget deficits and ballooning of the public debt (which is now at 140% of GDP if you also count local/municipal debt and Freddie Mac/Freddie Mae liabilities). The result: an Argentina 2000/Latvia 2009-style collapse, probably sometime around 2012-15 (might be triggered by a “geopolitical shock”). End-result: some kind of American Caesarism. If Austrians “win” the debate: the decline is grinding and gradual, rather than sudden and catastrophic. Instead, it would perhaps be a better idea to craft policies in such a way as to minimize the harm done for (as I suggested in my abortive “Collapse Party” project) and at the same time make the foundations of the American state stronger. Reintroduce the high marginal tax rates of the 1950’s-60’s to reduce inequality and shift the burden to those able to shoulder it. Might prevent the soaring inequality / corruption / resentment that leads to crony Caesarist outcomes. Problem: ACHTUNG SOCIALISM! Allow the financial system to contract / collapse as needed. Today, it is a rotting dead weight on the US – both economically (there’s no need for such a huge financial sector in the first place) and morally (they are a class apart from normal Americans). Problem: institutional capture means same banksters wield immense influence over both parties of power. Reduce military expenditures. There’s a lot that can be cut. First, the metastasized “war on terror” apparatus. Second, the expeditionary/naval component can be cut. There’s no long-term hope of containing China, but the Western US itself is secure. The Pacific Fleet can be reduced. Get out of Afghanistan. On the other hand, maintaining dominance in the Atlantic (core US interest) and the Middle East (oil) is useful. Third, saved money can be used to 1) continue research into next-generation military technologies, 2) reducing deficit. It’s not really a choice, actually. Military contraction is inevitable in the next decade: the only question is whether it will be uncontrolled (as during 1990’s Russia, when c.70% of Soviet military assets depreciated into junk) or controlled (with the result that core strengths will be preserved). Problem: suggesting reductions in military spending is unpatriotic & goes against the powerful defense & MIC lobby. Obamacare is imperfect, but one of the administration’s best achievements. Leave as is. Use savings from cutting off subsidies to the MIC & financial mafias – and the bigger tax intakes – to launch a coordinated restructuring of the US energy base. To accelerate the transition to sustainability, start planning and building lots of new nuclear power plants, and renewables. Start phasing out coal. First, makes a positive contribution to helping the world avoid catastrophic climate change. Second, this transition is in any case inevitable once the EROEI of hydrocarbons dips to lower levels – but by then, switching will harder because there’ll be many other challenges on the plate (e.g. mitigating the increasing effects of global warming; coping with the dearth of capital). So make a head start now. Problem: requires the kind of forward thinking that institutions are chronically incapable of. How do solve all these problems? Obama needs to take a gamble, revolutionize his leadership, launch an all out political assault against the enemies of progress. Problem: not going to happen. And that’s the story of it. If I had to bet on it, I’d say US GDP per capita will be 5-25% lower in 2020 than it is now – even though we’re in recession. (Unlike with the 1930’s Depression, there’s no abundant, very high-EROEI energy subsidy on the horizon waiting to propel the US to another level). Inequality will be no lower than today, because of the power of today’s stakeholders in the system, hence – coupled with lower output and the waning of the credit system – median incomes will be a lot lower; hence, many more people in outright destitution. The center of gravity (economy, population) shifting back to the north and east (above all the Great Lakes region) from the south and west. The Presidency will have transitioned to some kind of Caesarism, served by a clique of politically-connected oligarchs. Any imperialist adventures now confined to the Western hemisphere. The citizenry too atomized, apathetic and preoccupied with quotidian concerns to do much about it. I appreciate your thoughts and criticisms of this post, but do note that it is not meant to be final or “serious”; more like a strange mix of relatively obscure economic concepts, lazy extrapolations and personal impressions. As I said at the beginning, I hope to refine and connect these ideas into a more rigorous and logical framework in the future.